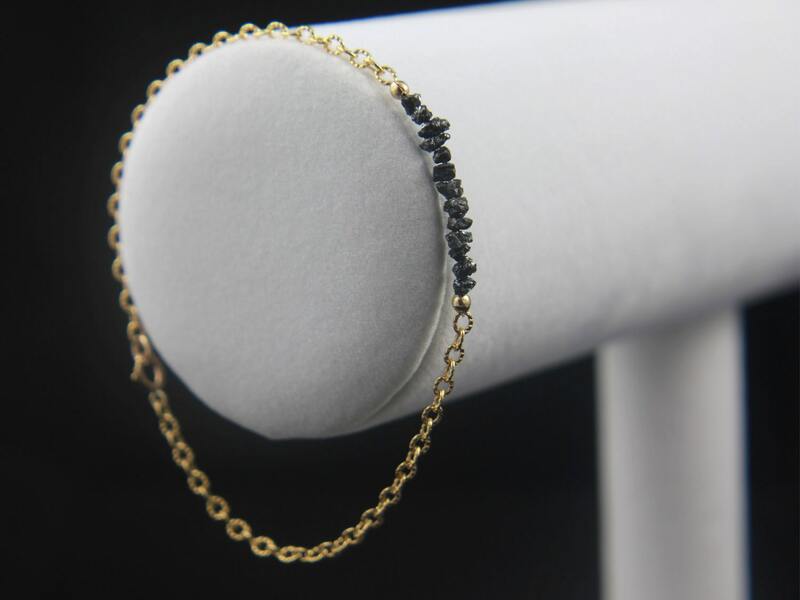 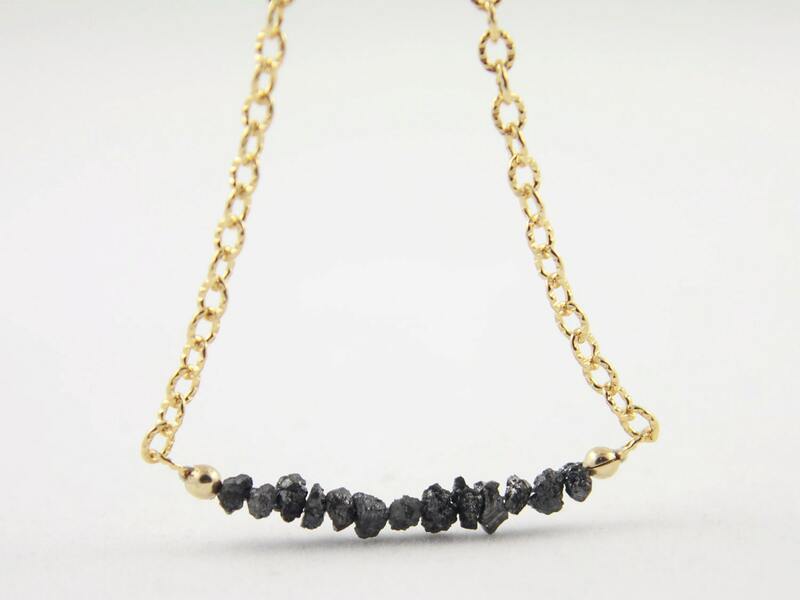 Classic, precious black rough Diamonds designed in 1 inch length on fantastic ribbed style 14K Gold Filled chain. 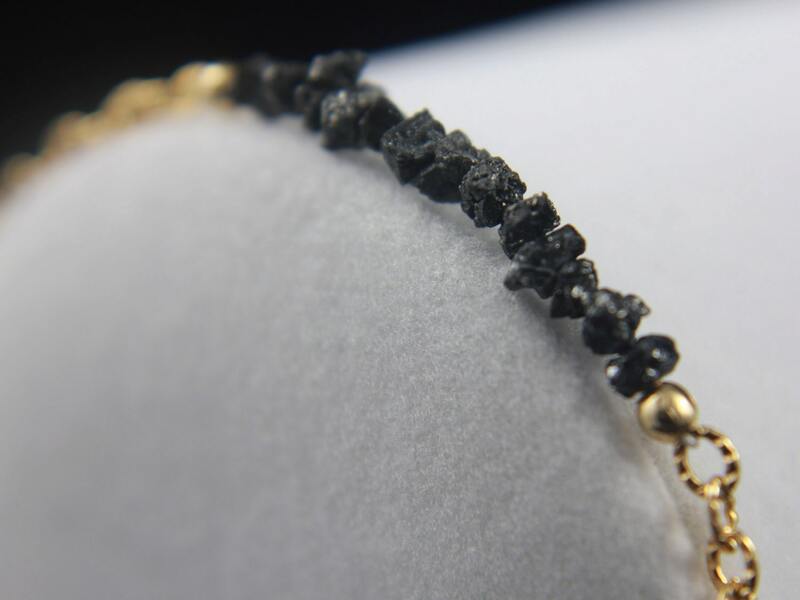 The diamonds have a natural color variance from dark grey to black and are graduated in size from approximately 2.0 - 3.5 mm. 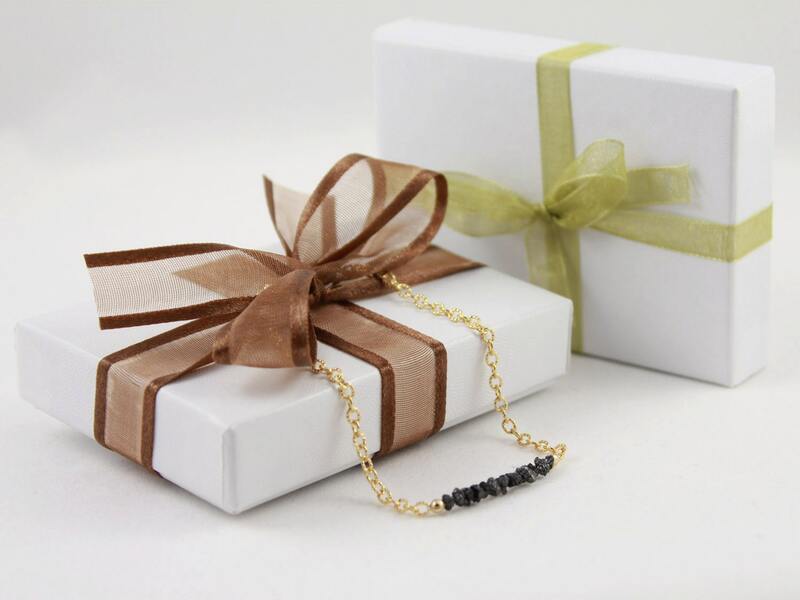 The bracelet comes in a nice gift box tied with a lovely ribbon as featured in the picture #5. 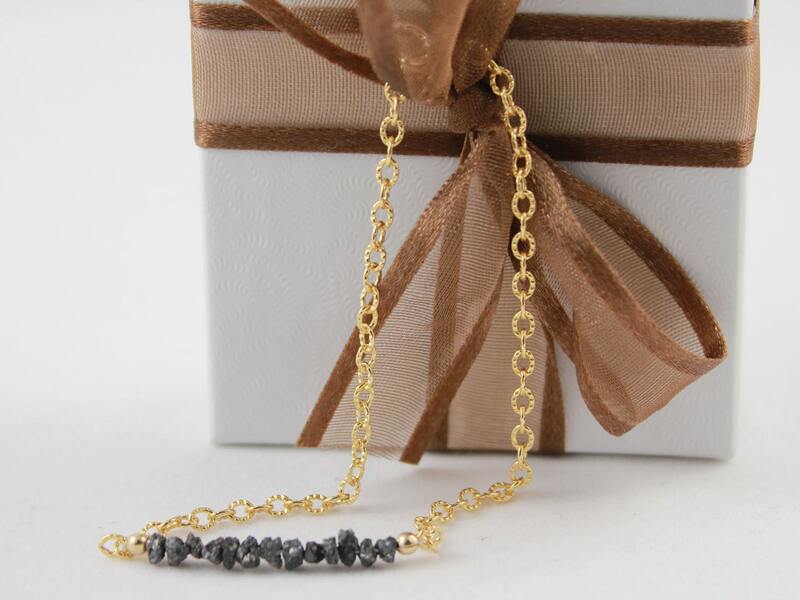 It is ready for gift giving!